Back with a sea creature! I’ve had a bit of a break from work and slight medical issue with my arm but now that’s all fixed I’m back to crochet, with renewed love and ideas! I’ve been investigating the idea of self publicising my book and started getting it all together in one place, amazon’s self publish company, CreateSpace.com, has some great templates. It has helped me organise my thoughts etc as well as collect it all together. You can sign up for free and, if you do upload your book onto the site, you can then request copies at cost price. They are then available on Amazon either as ebooks or physical prints. This all seems rather good to me but my partner says I should investigate publishing with a company further before this. Does anyone have any advice for me? 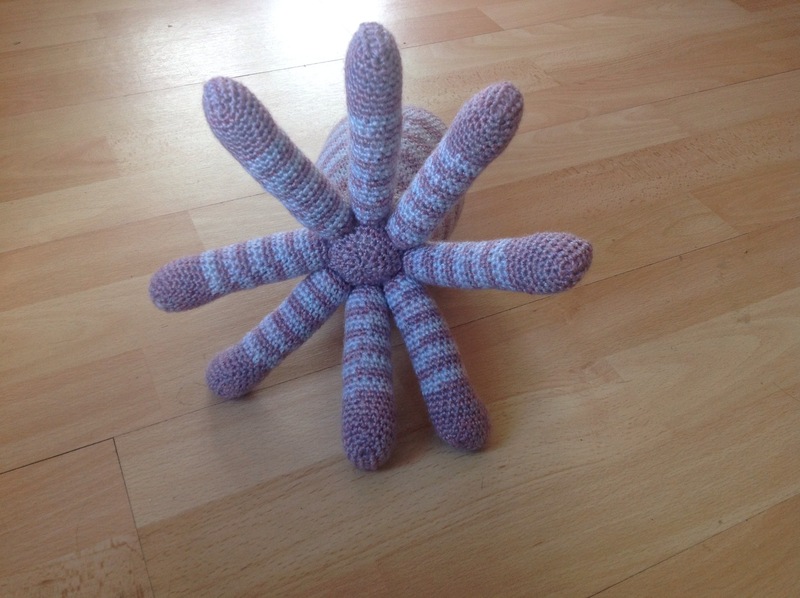 How do you get a book published, especially a crochet book? I’ve approached a few publishers but they have said that it’s not really their type of book, have I just got to ask around more? Anyway, on to the crochet! 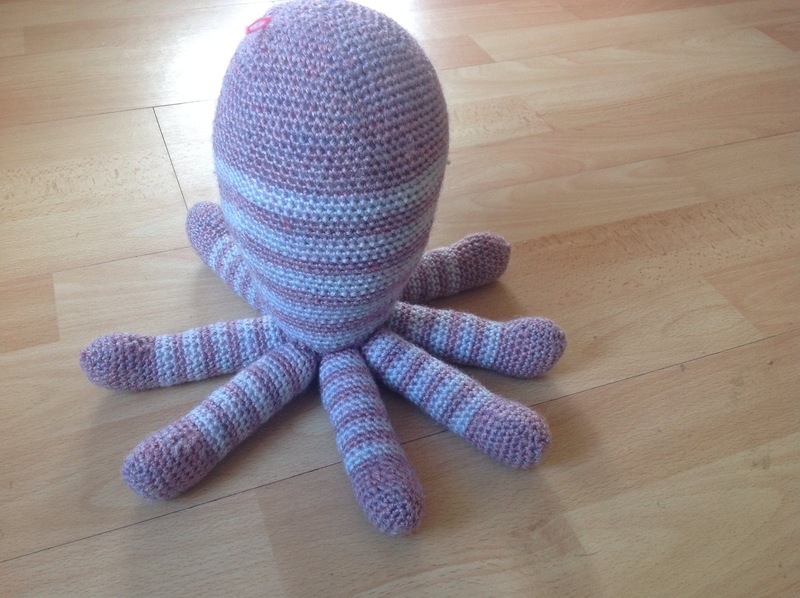 I must admit, I got a HUGE case of second sock syndrome on this one, the first couple of legs went OK but then it just dragged, why ever did an octopus pop into my head? So worth it though, what do you think? I’m not sure how to do the eyes though, I don’t think I’ll do any more of a face after them but eyes are definitely essential! Does anyone have any ideas? I was thinking about making some that stand out from the top of the head but it might be a little fussy! Just ping me a message if you fancy the pattern for any of my creatures, the plan is to post them once I’ve sorted out the kinks! I think that you would do best to make some flat button shaped eyes and attach them to the side of the head/body. If you stick them from the top they may fall off too easily.